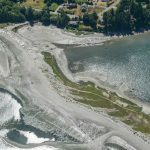 Brown Island, San Juan County – Experts in Puget Sound coastal processes, management, and cost-effective design since 1993. 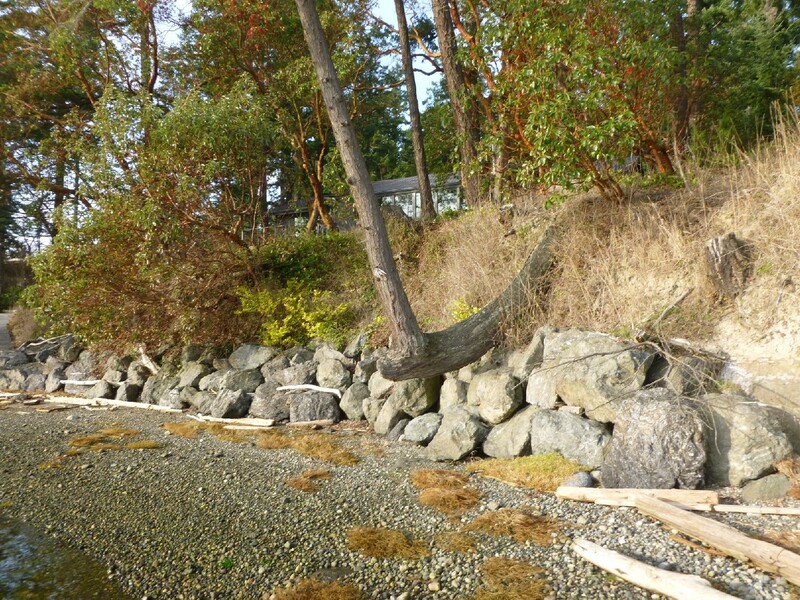 While some hard shore armor structures are necessary to protect coastal homes, many bulkheads in Puget Sound are not needed — like this rock revetment on a Brown Island beach in San Juan County, Washington (click photos to enlarge). 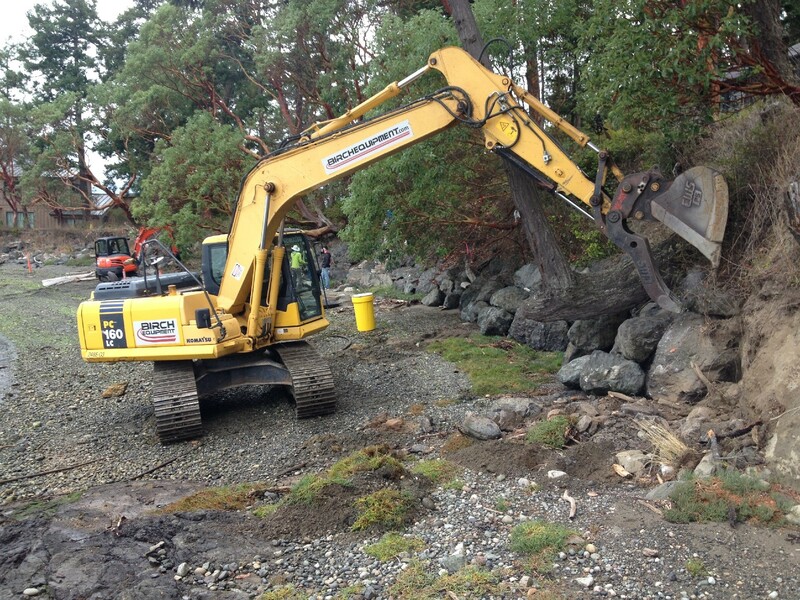 Hard armor here buried habitat for spawning forage fish such as surf smelt, a vital ecosystem component of Puget Sound. Stacked rocks like these impair natural coastal processes and alter waves, and can also be a tripping hazard for beachgoers. 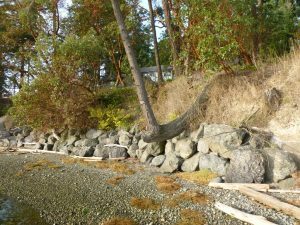 CGS worked with Friends of the San Juans and other contractors on this project to assess the feasibility, create and permit the design, and implement the removal of this rock armor. 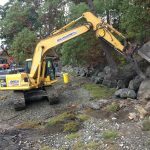 Jim Johannessen of CGS spoke to the homeowners about the benefits of restoring their beach: improving the beach aesthetics, providing crucial habitat for spawning forage fish, and more (see video below). 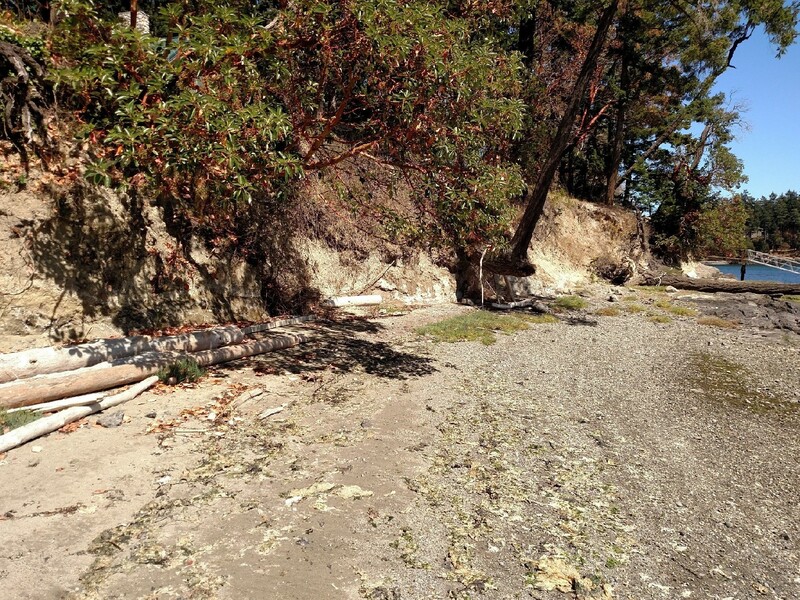 The restored beach offers natural habitat for spawning surf smelt, and the trees and other new vegetation provide shade to smelt eggs on the beach and help hold the bank. Additionally, the project adds value to these properties by improving accessibility and aesthetics. Just look at the difference! Watch this short video, posted by Friends of the San Juans, to get more of an idea of what a private beach restoration looks like: before, during, and after. Click on each image below to learn more about CGS restoration design projects.